The Ford Raptor is an awesome off-road truck by all accounts. But if you want more payload and towing capacity in a Raptor than Ford offers, there is a cool option in the form of the aftermarket F-250 Megaraptor. 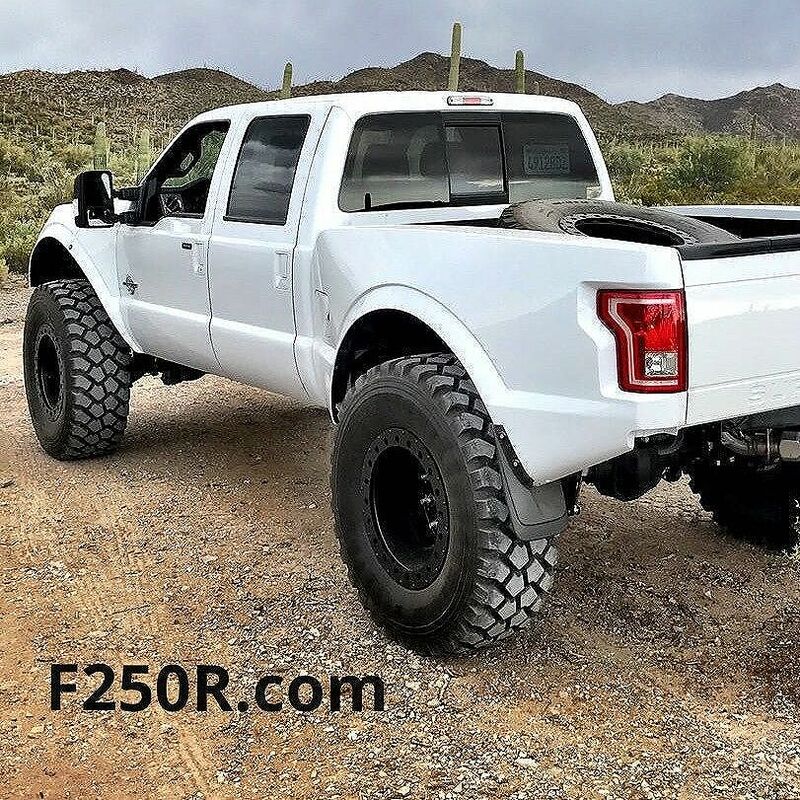 This monster truck is a custom build by F250R in Tucson, Arizona. 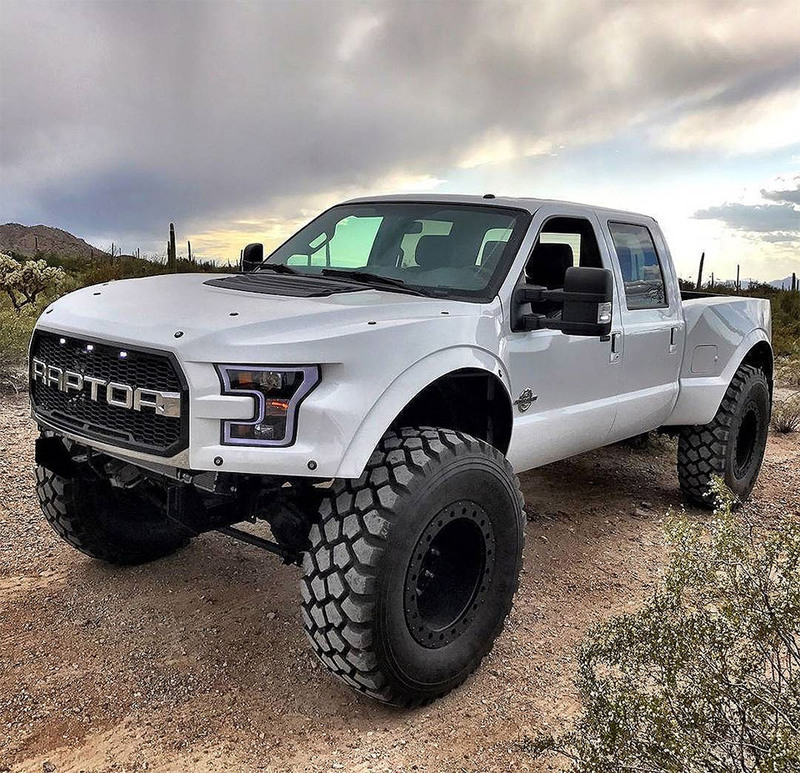 This company will take your normal F-250 and make it into a desert running and rock crawling beast called the MegaRaptor. The truck starts with a stock F-250 with a 6.7L Powerstroke diesel engine, which then gets lifted 4 inches, and upgraded suspension parts by Icon and Bilstein. Front and rear fenders get flared to accommodate those giant 46-inch tires and the wheels come from a military MRAP vehicle. Options include 4:88 gears, cold air intake, new bumpers on front and rear, a bed spare tire carrier, and leather seats inside. It also gets a fancy exhaust that claims to add 140 hp and 250 lb-ft torque while being 50-state compliant. The base conversion will set you back $28,000 plus the cost of the truck, which starts stripped at a bit under $33,000, though a fully-assembled, fully-tricked out MegaRaptor can go for as much as $95,000.